Amber Markets and Events Company Limited can transform a town into a bustling Continental market place where you can sample the delights of the Continent. There are specialities from home and abroad, showcasing dynamic and sparkling displays of what our home producers and European Union neighbours have to offer. 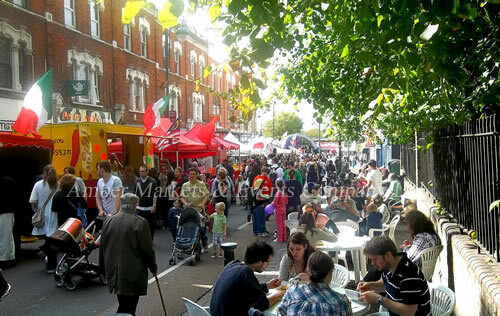 Authentic and as true to the country of origin as we can be, this is an opportunity for almost any Town Centre or event to be enhanced by additional footfall that a traditional Continental market attracts. Touring from April to December, our high quality products could include Italian nougat and fashion, flavoured cheeses and mini chorizos, tartiflette (a delicious cheese and potato dish from the Swiss Alps), handbags and scarves from France, fresh bread and biscuits, Italian pashminas and sweet and savoury crepes cooked in front of you.